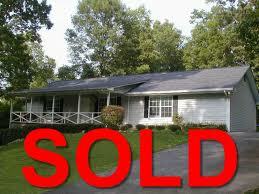 Sell Your Charlotte House Quickly without Hassle or Obligations. If you are on this site, you have a Charlotte house you want or need to sell quickly. We buy houses for a Fair Price in Charlotte, NC. Since we are a cash home buyer, we are able to make you a fair offer and close quickly or simply on your time frame. We are the local “We Buy Houses in Charlotte “ Company that offers real estate solutions and treats you fairly. Just fill out the short form or give Mason a call 704-233-3417. We don’t want to list your home, We BUY Real Estate Properties, both residential and rental houses. If you need to sell fast without any hassle – we buy “as-is”, meaning no contingencies and you don’t pay any commission (we are Not Real Estate Agents or Brokers. We are local cash buyers) and in most cases you won’t pay any of the closing costs. It’s that simple! We buy houses in Charlotte As-Is… no problem! Need to sell your home quickly in Charlotte or surrounding areas of North Carolina… we’d like to make you a fair offer. Want to sell for market value and not pay realtor fees, commissions or closing cost? Just ask Mason about how to “Sell Your House with Low or No Equity” program. We buy houses Charlotte -in any condition… as-is… let us take over the burden of that unwanted property and get out of that stressful situation. Basically, if you have a North Carolina property and need to sell it… we’d like to make you a fair offer and close on it when you’re ready. Our company specializes in solving real estate problems. . . especially ones that pose a financial burden on you the homeowner. We can solve almost any financial problem that real estate throws at you. We can help you make sense of all of this confusion and present you with your options that can get your life back to normal. Are You Trying to “Sell My House Fast”…But Can’t? You’ve tried to sell your house but are running into roadblocks. You probably even tried calling a real estate broker. We Buy Houses Fast In Charlotte, NC And Surrounding Areas Of Mecklenburg County! We help property owners just like you, in all kinds of situations. From divorce, death of a family member, burdensome rental property, and all kinds of other situations. Sometimes, those who own property simply have lives that are too busy to take the time to do all of things that typically need to be done to prepare a house to sell on the market… if that describes you, just let us know about the property you’d like to be rid of and sell your house fast for cash. If you prefer to talk to someone in our office before submitting your property information just give us a call today at 704-233-3417 or check us out on Facebook! 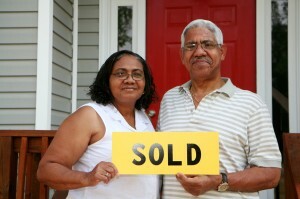 We buy houses in Charlotte, NC and all surrounding areas in both NC, SC & Ga.